Leading Manufacturer and Exporter of Oxygen Generators such as High Purity Oxygen Gas Generator and Liquid Oxygen Generator from New Delhi. We are manufacturing and supplying advanced High Purity Oxygen Gas Generator . We acquire the latest technology from the international market as the technology is proven for its working efficiency trouble free operation. The output gets application in a number of industries such as water processing industry, ferrous metallurgy industry, non-ferrous metal refinery industry, coal mines industry and pharmaceutical industry. The purity of oxygen and nitrogen is upto 99.7% and 99.99% respectively. Purity 99.7% oxygen and 99.99% nitrogen. 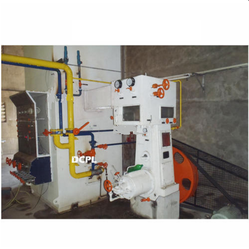 We are a leading and well-established company in India for manufacturing and exporting High Purity Oxygen Plant to fulfill the requirement of different medical and industrial applications. The purity output from the machines you can expect is up to 99.7% oxygen and 99.99% nitrogen. And the capacity of the machine ranges from 20 m3/hr to 5000 m3/hr. They are tested numerous times before being brought into the market. Looking for Oxygen Generators ?